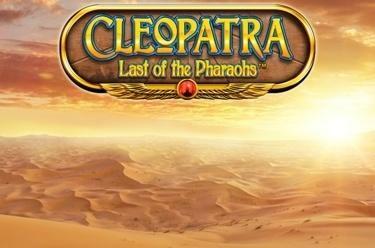 Play Cleopatra – Last of the Pharaohs™ online for free now! Legendary Ancient Egyptian ruler Cleopatra was well known not only for her beauty, but also her cunningness. Therefore it's no surprise that she kept her riches well protected in her pyramids. Enter the magnificent structures and search for the treasures of the last of the pharaohs. The more bonus rounds you spin in the burial chambers, the bigger your Twist reward will be. 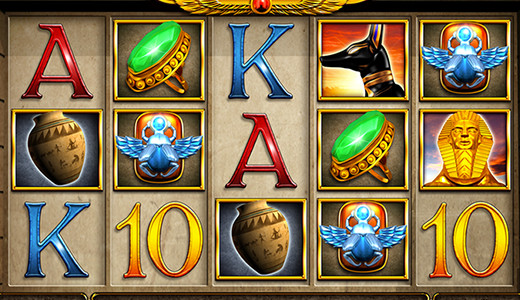 Land 5 matching symbols along the 10 win lines and Cleopatra’s treasure will be yours! All of the lines run across the reels in a special pattern from left to right. Simply land at least two matching symbols on adjacent reels and along the same line to win. Cleopatra transforms into a scatter symbol that triggers Free Games if she lands on the 1st, 3rd and 5th reels in any position. She is also the wild symbol that increases your chances to win by replacing any other symbol. Cleopatra can occupy up to three reels as an expanding symbol during the Free Games. If three Cleopatra symbols (scatter) appear in any position on reels 1, 3 and 5, they will trigger Free Games. Before the Free Games begin, the number and position of the expanding wild symbols will be determined in the Pyramid Feature. Up to 5 wild symbols can feature. If a pyramid appears, you can select a rectangle on the bottom level. If an arrow is visible underneath the pyramid, you will climb to the next level. Every time you move up you will unlock additional wild symbols. If a Cleopatra symbol is hidden behind the selected rectangle, the feature comes to an end and the Free Games start. You start with 15 Free Games. If the ankh symbol lands on reel 5, the counter will be stopped during the bonus rounds and you’ll win 5 times your betting amount. The counter will only be re-started once the cat symbol (basket) appears on the 5th reel. This procedure can be triggered randomly again and again during the Bonus Games. Once you are out of spins, the Free Game Feature comes to an end. If you fail to land a win during a spin, there is a chance that the Sand Storm Bonus will be triggered. Up to 5 symbols can be turned into a winning combo by a sandstorm sweeping across the first and last reels. Once your winnings have been paid out you can continue gaming as usual.